Perfect Surfing and Kitesurfing Facilities, Nice staff, parking place and fast internet connection!! Then, We'll see you soon at The View!! 'The View' is the hostel for the traveler who is more than a tourist. This is the place for researchers that need to discover what is behind of each blown wind. Kite surfing, surfing and traveling around the world has served as inspiration for this place of outstanding experiences, possibilities and unbeatable sights of a wonderful country. Proud of being a part of a welcoming and warm nation as Brazil, we're more than happy to welcome you here. We can almost guarantee you're going to fall in love with the place. Here, in Florianopolis, the vibrant city in south of Brazil, you will find it all. 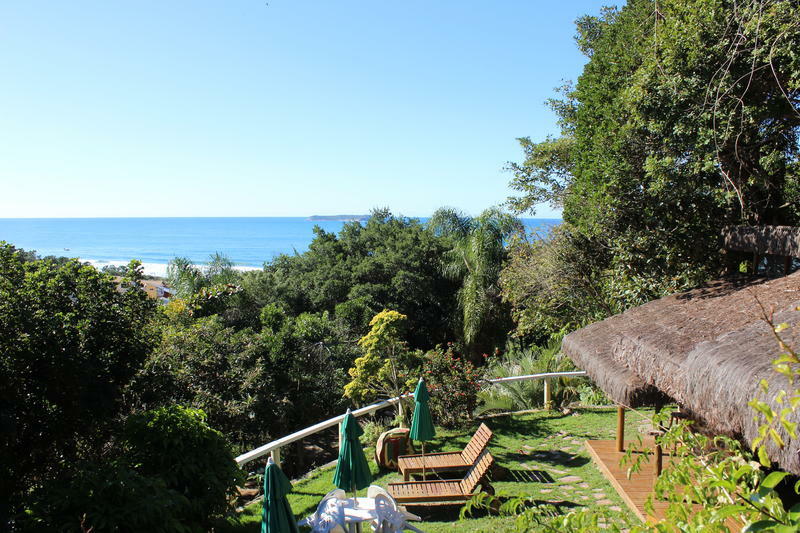 The Views location, between the Island of Santa Catarina's most attractive beaches Praia Mole and Joaquina, serves you a magnificent environment, an unbeatable view as well as great surfing and kitesurfing conditions. 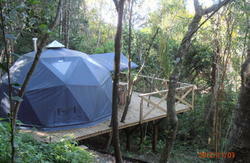 We are suited at most beautiful paradise of Santa Catarina coast, the magic Island - a dream in the middle of the sea. 'The View' owes its name to mind-blowing panoramic view of Brazilian most attractive beache - Praia Mole and the beautifull Lagoa da Conceio. 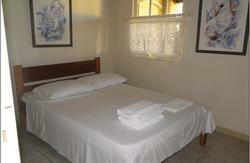 Our facility is perfect for all adventurers looking for more than just regular accommodation. 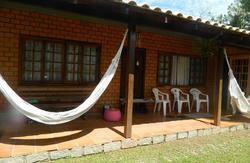 From here it is easy to access numerous hot spots, stunning beaches and downtown of Florianopolis! If you book between December 15th and March 15th you will be charged 50% in advance in order to secure your booking (non refundable), you may be contacted by the property requesting the CVV code of the credit card used for this booking or asked for a deposit. This also applies if your booking is during a national holiday, New Year's eve or Carnival. Once you get to Florianpolis bus station, leave the bus station by walking, Turn your right and you will see the local bus station. Take the bus to Lagoa da Conceicao which leaves from the second-last stop at the end of the middle platform. The number of the bus is #330 or #320. Keep on riding this bus to the Lagoa bus stop and once you get there, change to bus number #360 to Barra da Lagoa and ask the driver to stop the bus at the 2nd bus stop on the hilltop or ask to be dropped right after Latitude Club, now walk 2 minutes down the hill straight to Mole beach and you are just few steps from The View Hostel. The journey takes about 40 min and will cost something about R$ 2, 95. . The blue buses works from 5.50 AM until 11.30 PM (occasional buses works till later). OR By taxi inside the bus station you can ask a driver to take you to Praia Mole, just tell him that you want to stay 60 meters after Latitude club on the opposite side of the club Latitude 27. It will cost around R$ 50, 00. By bus Get outside of the airport and go to the bus stop which is outside the airport. Take the green bus numbered#183 or #186 which comes quite often by every ten minutes. The green bus sign must says way to Corredor do Sudoeste. drop at the local bus station in Florianpolis and follow the directions from above. The bus will cost you R$ 1,60 the trip takes about 25-30 minutes when the traffic gets heavy This service runs from 5.30 AM until 12.30 PM.